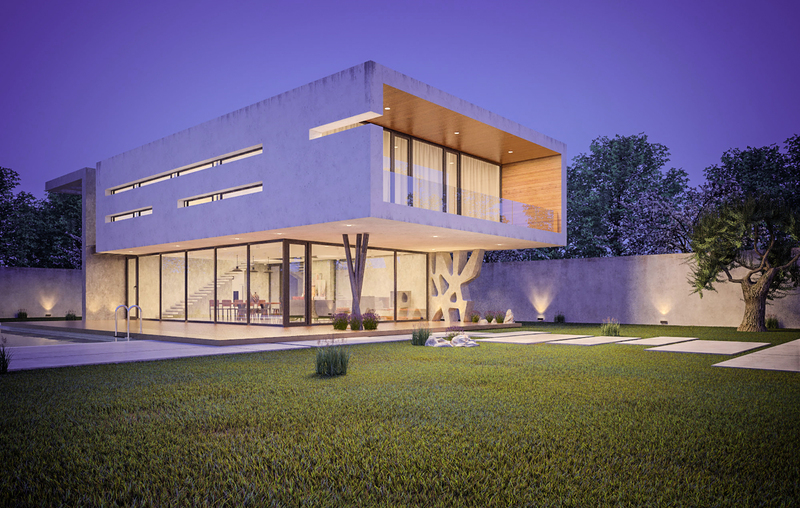 The MINI -villa a is luxurious and elegant home in the city with a minimalist glass facade opens to the beautiful scenery. the architect of the schema adapted the concept of terrestrial conditions. Thus, a comfortable seating area is set on the ground floor, which is transformed into an outdoor space. On the first floor, all the rooms and bathrooms are located – well protected from prying eyes. The white walls create a visual link between the front and wooden floor creates a warm atmosphere. 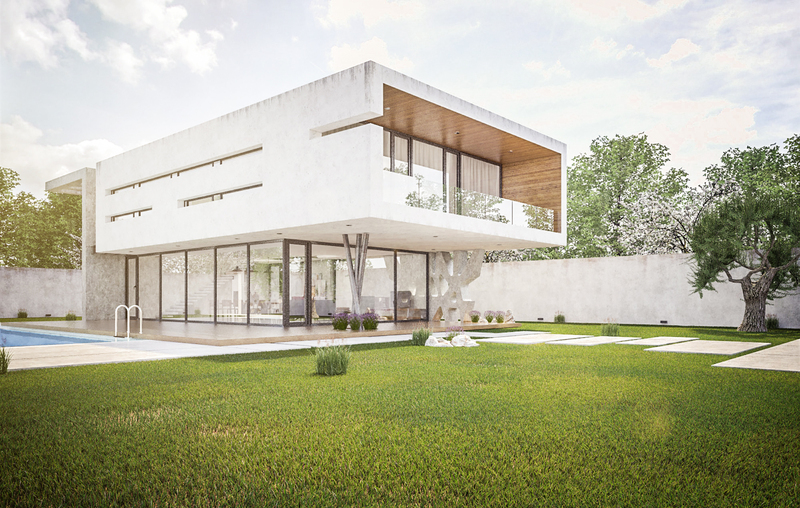 A humble beauty- this is what we can see from this view of the house’s exterior of sleek lines and minimalist modern design.